Art School Na Popelce in Prague, Czech Republic has 700 pupils, which can choose from four different specializations – music, dance, drama and arts. Its music department offers a variety of subjects to study: piano, violin, viola, violoncello, guitar, recorder, flute, clarinet, bassoon, oboe, trumpet, percussion, voice and song interpretation, etc. Pupils profile themselves like soloists together with participation in chamber music represented by string ensemble, brass band, chamber orchestra or symphony orchestra - Prague Youth Philharmonic. Voice department’s students join children’s choir or opera ensemble. Art School Na Popelce regularly cooperates with educational and artistic institutions abroad. Its ensembles and study groups recently visited Great Britain, Turkey, Austria, Germany, Netherlands, Romania, and Croatia. Pupils perform in frequent concerts and shows, bringing awards from both national and international competitions. 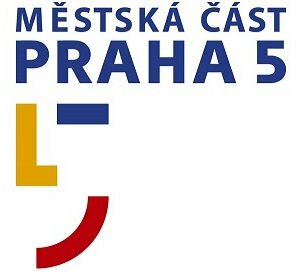 Prague Youth Philharmonic (PYP) was founded in 1995 under patronage of Art School Na Popelce in Prague. The orchestra performed in many public concerts in the most attractive halls in the Czech Republic like the Municipal House in Prague, Spanish Hall of the Prague Castle or the Dvorak’s Hall of Rudolfinum. The Dance Department, Dance Studio Light is making contemporary dance theatre and creates performances in the form of community theatre and connects professional artistic creation with pedagogical work. The department carries out projects of international cooperation and initiates the creation of performances in the form of social projects. Its groups perform at national competitions, bringing regularly awards. The department takes part in international projects, in 2012 the group was invited to perform at the Aberdeen International Youth Festival, in 2013 cooperated with Collège privé sous contrat Saint Joseph Pantin in Paris, in 2014 performed in Provence and Slovakia.